Don’t get me wrong, I have sweaters and coats and winter scarves and boots but I don’t have a completely separate wardrobe for cold weather that moves in and out of my closet by season. There are a few reasons for this. Mostly, I would say it’s because I live in a fairly mild climate and have for most of my life (minus that one year in Chicago when I learned the value of layering and covering your head!) Winters in Midland aren’t too crazy. We may have a few frigid days and (fingers crossed) we may even get snow once or twice but all in all, it’s very easy to transition your existing spring/summer wardrobe into fall and winter. Secondly, I’ve never really been one to adhere to fashion “rules” such as not wearing white after labor day or reserving certain fabrics for certain months. Today’s outfit is a great example of this. Nevermind the blurry pic, but you may remember that I just purchased this blush cowl neck top from Burlington. I knew when I purchased it that the fabric (knit with chiffon overlay) and color would be considered “springy”. But I also knew that this top would look divine with my new moto jacket so I snagged it without much regard to the time of year. And not to brag, but I think I hit todays #ootd out of the park! 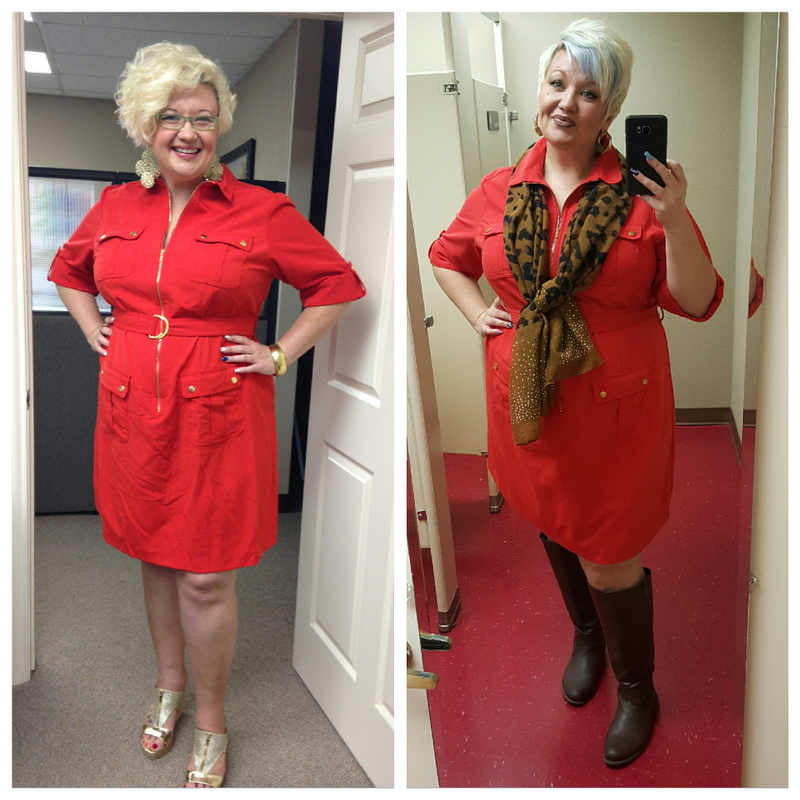 Here are a few other examples of how I transition my wardrobe to colder weather…. I find that dresses are rather easy to transition. Depending on the style, you can add scarves, cardigans, tights and boots and you have an adorable new look for the winter months! OH – and of course, loving the dark lipstick trend for this season! How about you? 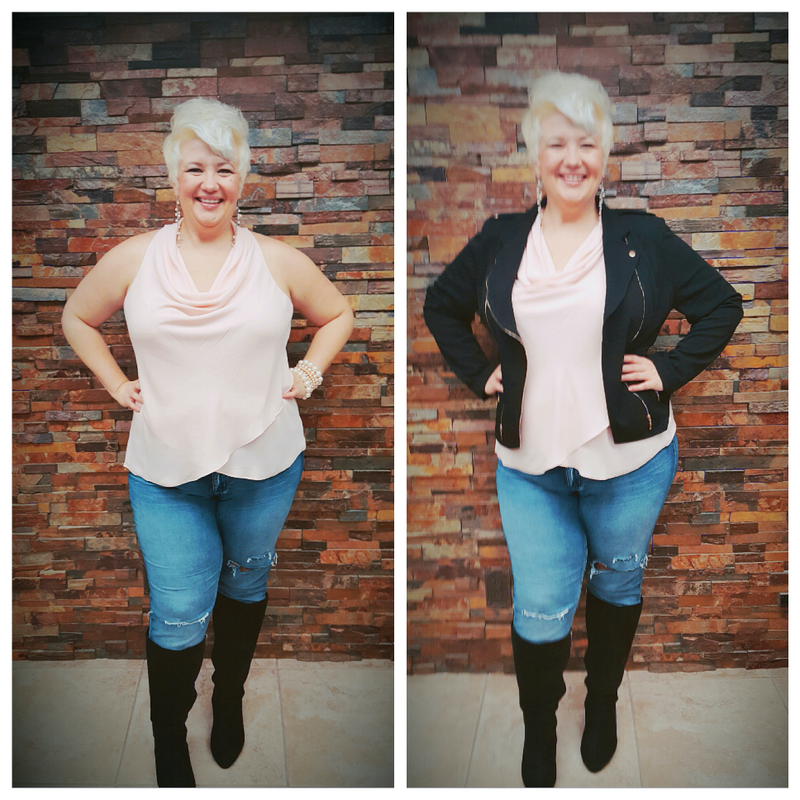 How do you transition or “winterize” your wardrobe? I’m always open to new ideas!!! Work it girl! I love the ‘winterized’ boyfriend jeans. GREAT IDEA! 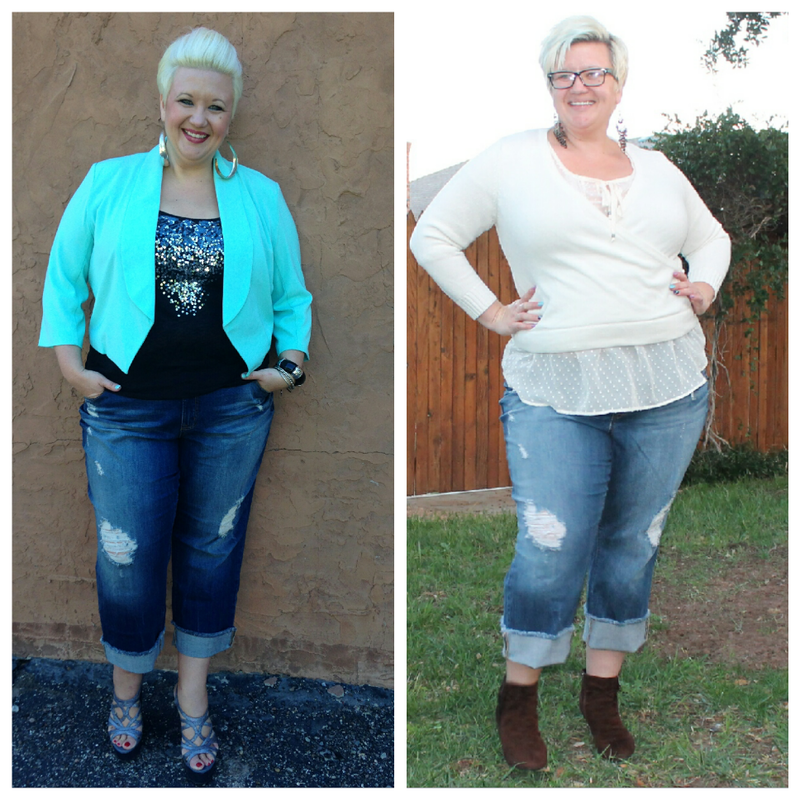 I am so jealous of your whole style! ❤ It really hasn't gotten cold enough yet for me to really transition. But, I tend to just wear sweaters and cardigans over my tank tops and call it good. Though, I'm less fashion-awesome than you are. Awe! Thank you! I will admit to feeling very fierce in this particular outfit. So much so that I don’t really feel like working. I’d rather be strutting down a runway or something 😉 LOL!